CBD capsules are one of the easiest and most convenient ways to get your CBD intake. Green Roads supply products of only the highest quality, and their CBD capsules are no different. Green Roads CBD Capsules are often used for insomnia, anxiety, stress, and pain. CBD capsules have become a popular way of consuming CBD; you’ve probably already heard about them and know how they work. Green Roads doesn’t claim to be startingly different to other companies, but they have still managed to establish themselves as one of the better brands. 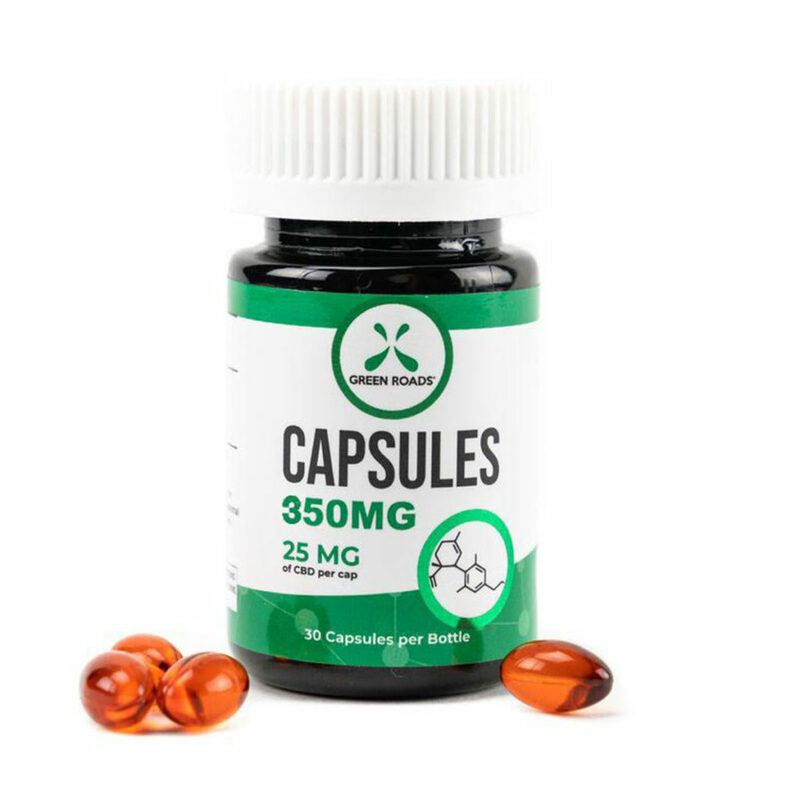 This product is sold with 14 capsules in a bottle, with each capsule containing 25 mg of CBD. You can either swallow these gel capsules with water or any drink of your choice; both work equally well. You should take no more than two capsules per day when starting out. Typically, one capsule in the morning should be enough to keep you relaxed and concentrated throughout the day. You may want to take another capsule in the evening if you have trouble sleeping. The 25 mg CBD capsule is pretty standard in terms of mg of CBD. They’re great for relieving pain and are a great alternative to prescription medication. The CBD capsules are available to purchase for $59.99 for a bottle of 14 pills. Although this does seem expensive, it would probably work out cheaper than pharmaceutical alternatives. If you are looking for a convenient, easy-to-use product with no taste, then the Green Roads CBD capsules are your best bet. You can take these just as you would your daily vitamins.